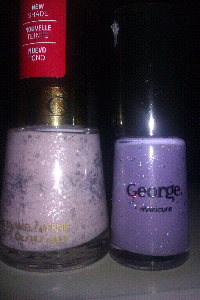 A few weeks back my lovely friend and polish-acholic Debbie sent me some nail mail. I got the Poptastic collection from Color Club! 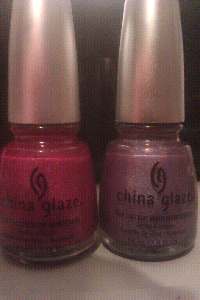 Anyway last week Debbie told me she had some polishes that were on my wishlist that she wanted to part with, needless to say i snapped up her offer. 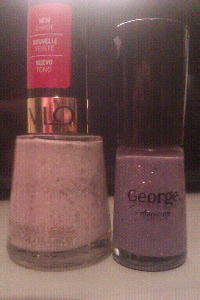 And now I have three lovely new polish and a special gift polish! Look at those Silver caps! 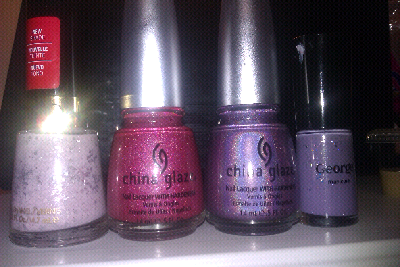 Here is Revlon Starry Pink, China Glaze QT and IDK and The Adorable Emma Fraken Polish. 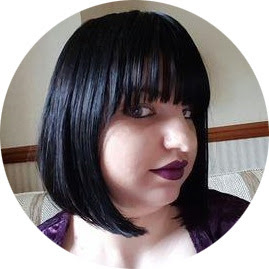 The Adorable Emma is the fraken polish Debbie made for the lovely Emma as part of her December Birthday package (you can check out what i sent Emma here) and is a purple creme with silver, blue and pink glitter. I really love the idea of franking polishes and hope to start making my own soon so this is a really great inspiration for me to start! 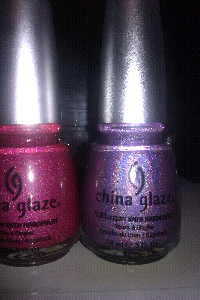 Look at the holo in these two! These made me a very happy kerrie indeed! Thank you muchly!